What exactly is an overdose, and why do some people die from it, while others do not? “What physiologically is going on?” asked an audience member Tuesday evening during the launch of Science Cafe Concord, the popular discussion series moderated by Monitor reporter David Brooks. 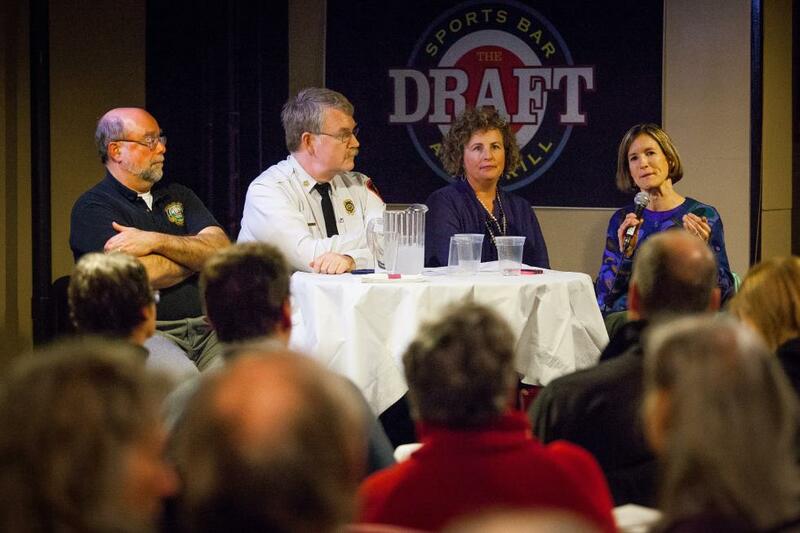 Dr. Thomas Andrews, the state’s chief medical examiner and one of four panelists at The Draft Sports Bar downtown, grabbed the mic. Perhaps no one in New Hampshire knows that better than Andrews. Just this week, his office announced that more people in the state died from drug overdoses last year than ever before – 385, a number that is expected to surpass 400 when all cases are completed. Those grave trends are by now well documented. 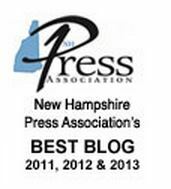 But Concord’s Science Cafe, an expansion of the long-running Science Cafe New Hampshire program, offered a chance for the public to dig into another angle of the epidemic: the science behind opioid addiction. Tuesday’s wide-ranging discussion touched on everything from common addiction myths, to signs of overdose, to the combative side-effects of reviving victims with the overdose-reversal drug naloxone, also known by its brand name Narcan. “I have only been hit twice in my career,” said Concord fire Chief Dan Andrus, a certified paramedic. “A lot people find that really surprising – I think a lot more have wanted to – only two patients have actually connected with my face. Dr. Molly Rossignol, an addiction specialist at Concord Hospital, responded to a question about drug use by pregnant women by confirming that yes, damage to a baby happens directly from the drug, rather than just its indirect effects, like reduced oxygen to the blood. She noted that, unlike popular assumption, babies do not leave the womb with addictions. “Babies are dependent, though, on opioids, if they’ve been exposed in utero,” Rossignol said. It’s also a good time to get people help. “Pregnancy is a really great time to get someone into treatment,” she stressed. Rossignol cautioned people to expect treatment plans to fail on the first attempt, no matter how great they sound. The outlook of the panel, though, was mostly positive. “I’m a natural born pessimist,” Andrews said. But he added that he was continually “amazed” at the resiliency of those touched by the epidemic, and the work they continue to do on behalf of their loved ones, and those they may never meet but are connected to just the same. I was unable to attend Tues program, but would love to know more. Was it video taped? Yes, and the video will be shown on Concord Community Television, and via the web, when the editing is done – probably next week. Stay tuned.